Genuine Andalusia is now a certified Sherry Educator! Genuine Andalusia is now a certified Sherry Educator! 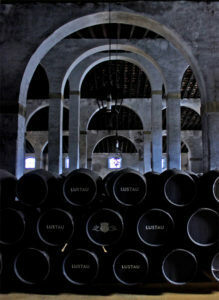 Home » BLOG » Genuine Andalusia is now a certified Sherry Educator by the Sherry Regulatory Board! 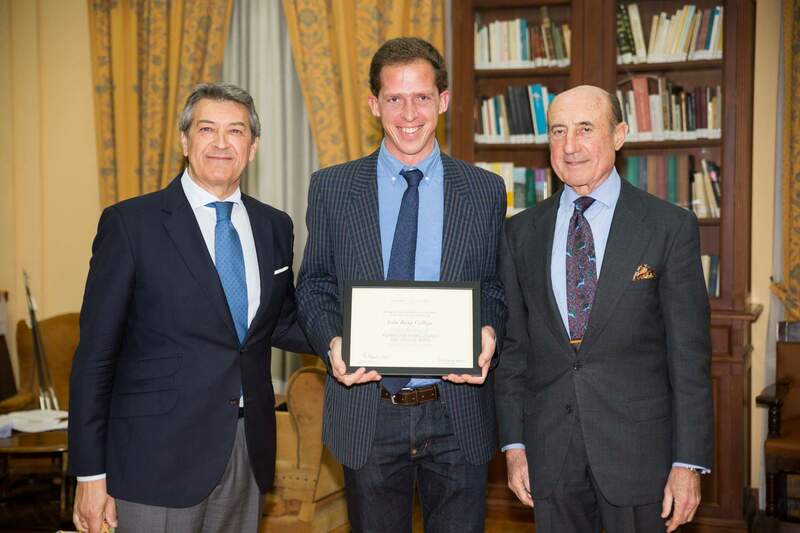 Genuine Andalusia is now a certified Sherry Educator by the Sherry Regulatory Board! The Sherry Regulatory Board organizes an intensive course twice a year with specialized theoretical and practical lessons about Sherry. It is the so-called “Sherry Educator course”. This 3 day course is open to people who work on a regular basis in wine-related training activities. These include giving lectures or courses, holding guided tasting sessions and teaching in specialized environments. The Sherry Educator course aims at giving the successful applicants a high degree of knowledge about Sherry so that they can effectively transmit it in their fields of specialization. 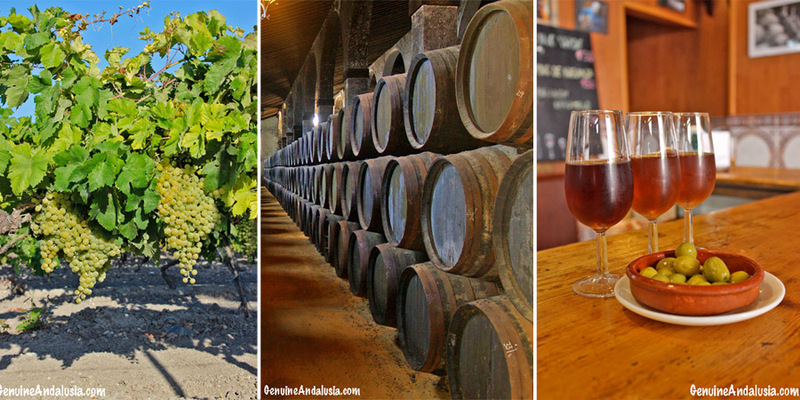 Genuine Andalusia has specialized in custom Sherry tours since its foundation. We have designed custom Sherry tours for people from all over the world, with a considerable knowledge about Sherry and with a strong will to learn further. Fortunately, we have seen an increasing demand of these tours and also of the level of knowledge of our guests. So it became essential for us to attend the Sherry Educator course. After sending our application to the Sherry Regulatory Board explaining all this, Genuine Andalusia was selected for the first Sherry Educator course of 2017!. The course has provided us with incredibly valuable knowledge and with many practical tools to design and conduct custom Sherry Tours for guests with a higher level of knowledge. 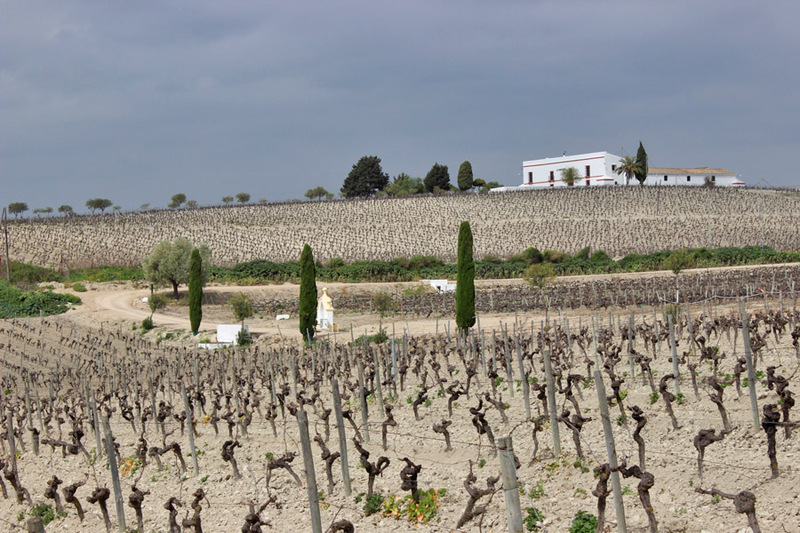 On the first day of the course, we had a fabulous afternoon visit to Bodegas Lustau. These are bodegas where we often like to take our guests, due to their stunning architecture and fantastic sherries. During this first visit of the Shery Educator course, we had the first contact with the rest of the group of new Sherry Educators. In the group there were sommeliers, wine distributors, restaurant owners and academics from all over the world. On the first day, we also had a fascinating seminar about the history of Sherry, offered by César Saldaña, director of the Sherry Regulatory Board. After the seminar, we had a welcome dinner in the Castle of San Marcos of El Puerto de Santa María. 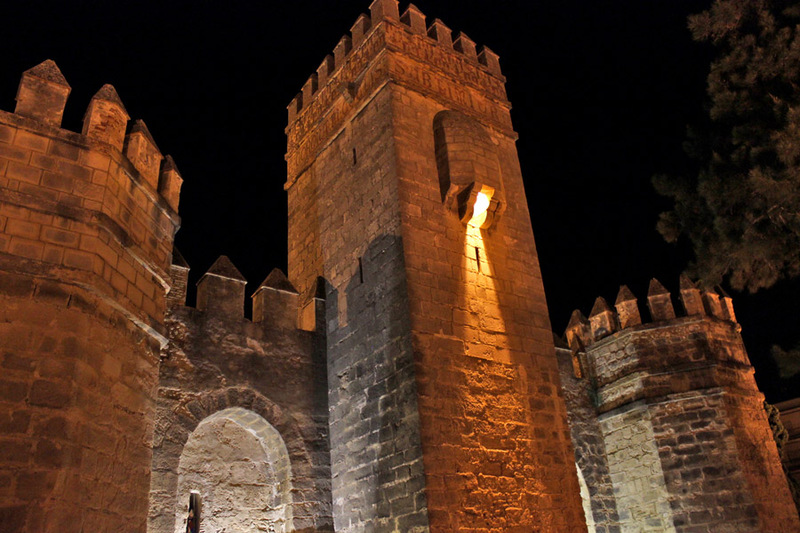 This castle is property of Grupo Caballero, which owns various bodegas throughout the Sherry Triangle. Genuine Andalusia is a project that was born in El Puerto de Santa María, so it was simply thrilling for us to have dinner in the most iconic landmark of the town. The second day of the course started with a theoretical seminar about Sherry viticulture offered by Beltrán Domecq, president of the Sherry Regulatory Board. Then we visited Viña la Canariera, property of González Byass. 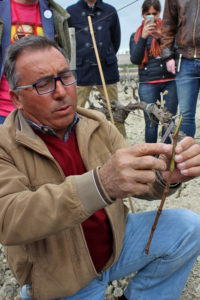 There we learned the particularities of the soils that can be found in the Sherry Triangle and the grafting techniques, used in Sherry viticulture. 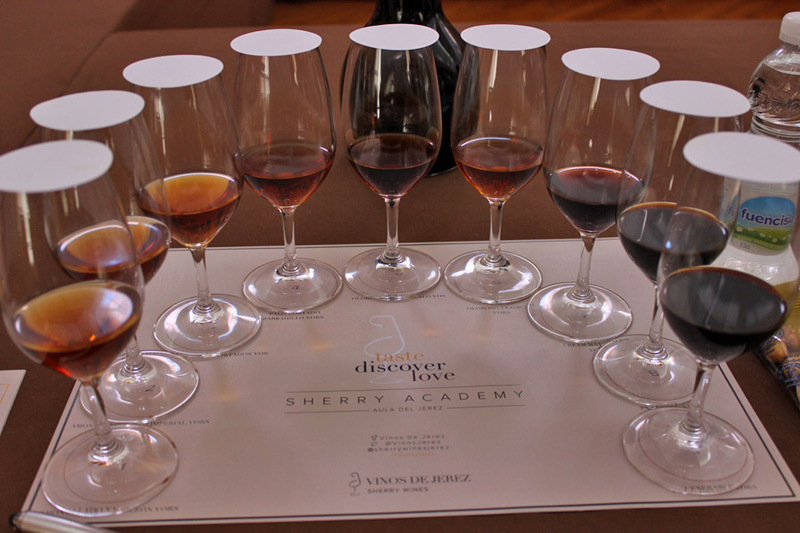 A lecture about the different sherry types, offered by César Saldaña, followed these two seminars. Then we had two amazing tastings, one of dry sherries and one of sweet ones, conducted by Beltrán Domecq. The first took place in the vineyard and the second one in the bodegas of grupo Estévez, where Eduardo Ojeda, oenologist of the bodega and founder, together with Jesús Barquín, of Equipo Navazos welcomed us. That day in the evening we visited the stunning bodegas Barbadillo in Sanlúcar, where Montse Molina, oenologist of the bodega, was our host. In bodegas Barbadillo we tasted an exquisite selection of Manzanillas straight from the cask and had a fantastic tapas dinner. The third day started with two very interesting lessons about the Sherry denominations of origin and about the aging process of the different types of Sherry. César Saldaña was the lecturer in both lessons before Pepe Ferrer continued with an inspiring seminar about the enjoyment of Sherry. During this seminar, Pepe Ferrer shared with us his knowledge and experience about the food and sherry pairings he designs and conducts in selected restaurants all around Spain. This was extremely informative and useful for Genuine Andalusia, because food also plays a most important role in all our tours. The last day of the course couldn’t continue in a better way… After the morning lessons, we had a tasting of VORS (Very Old Rare Sherries) conducted by Beltrán Domecq. This final tasting was simply heavenly as we got to taste some of the best sherries in the world! Things kept getting better and better as we later visited Bodegas Tradición, our favorite bodega in Jerez! This is a bodega where we have spent magical moments with our guests. A bodega where we have uncovered the wonders of sherry to many people and where many of our guests have become sherry lovers. This was a very special visit also because the oenologist of the Bodega, José María Quirós, accompanied us all along and shared very specific details about the premium sherries that he takes care of. We knew we were going to have lunch in Bodegas Tradición that day but what we hadn’t expected is that lunch would take place in their art gallery! An Art Gallery where we have enjoyed sharing the Spanish history of art with many of our guests, through a unique collection of paintings of remarkable value. After all these great seminars, visits, tastings and meals, came the final part of the course: a theory exam and a blind tasting of 7 different Sherries! We were very nervous but our nerves turned into excitement when we knew that we had passed both exams and got our Sherry Educator certificate! We couldn’t wait to celebrate with all the other new Sherry Educators! This came shortly afterwards when we had a joyful dinner in the premises of the Sherry Regulatory Board, where we toasted to this achievement several times and with different sherries! This is a video that the Sherry Regulatory Board made about the Sherry Educator Course in which we participated. The Sherry Educator course was an extremely rewarding and enriching experience that will enhance our custom tours of the province of Cádiz, and especially our custom Sherry tours! If you’d like a certified Sherry Educator to design and conduct a custom Sherry Tour for you and your party, don’t hesitate to contact us. We promise we’ll turn you into a Sherry lover, through authentic local experiences!